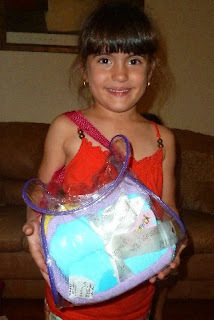 The Lil Divas & I LOVE Kidorable products. They have the cutest designs for boys and girls and all the products we have tried have been top quality. So of course we jumped at the opportunity to review one of their adorable Hooded Towels. Kidorable's Hooded Towels are absorbent, soft cotton towels in fun kid friendly designs that kids will love like cat, mermaid, dinosaur, fairy, frog, ladybug, pirate, fireman and more. The towels come in two sizes- newborn to two years and ages three to six. 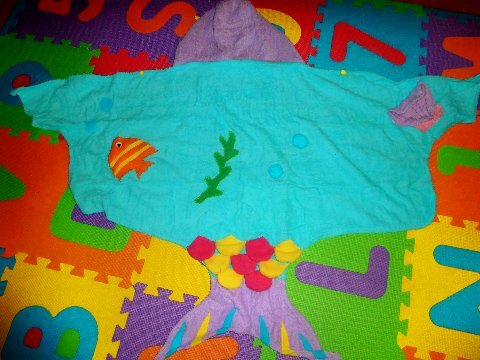 We reviewed the Mermaid Towel. It was a hit right out of the box as it arrived in a cute re-usable bag. 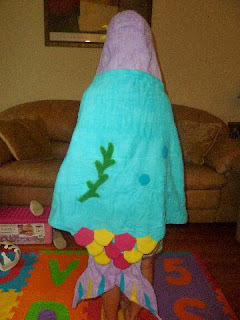 It looked just a Mermaid dress-up costume and had the cutest embellishments with a shell pocket, a flower on the hood, sea life details on the back & even a few scales on the tail! Isn't it just darling? Beyond the obvious cute factor - there are quite a few practical things that both the Lil Divas and I really liked about the towel. 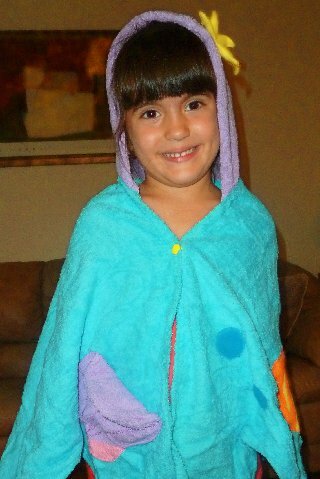 When the Lil Divas come out of the pool or beach they are always cold and want to be wrapped up in their towel. Unfortunately the towels NEVER stay on and I ALWAYS end up wrapping & re-wrapping it around them numerous times. The Kidorable towel not only has a hood which means the girls would feel warmer but it has a front snap button close - so no more fighting with a towel that keeps falling off! Yipee! That is seriously one feature that is so simple & yet so necessary and time saving for me! I LOVE it! Plus, honestly how can you resist this? It is just too darling! All the designs have such neat details. You really must check them out at Kidorable.com. The Kidorable towel was a hit for my Lil Diva so I am so excited that one of YOU gets to win one right here as well! :) Woohoo! Buy It: You can check out all the adorable boy & girl designs for the Kidorable Hooded Towels & purchase one at Kidorable.com. Every design is adorable - you really can't make a wrong choice! **DEAL ALERT**: From May 30 through June 12, you can get 20% off your entire order when you purchase an adorable Kidorable hooded towel. Just use code DRYOFF33 at checkout on http://www.kidorable.com/. Visit Kidorable.com and tell me which towel design you would like to win! 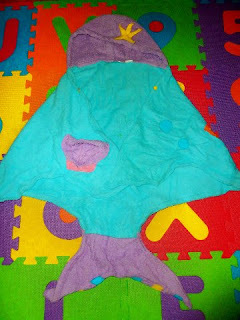 Disclaimer:I received a Kidorable Mermaid Hooded Towel for the purposes of trying it out with my daughter for this review. That being said, this review is our 100% honest opinion of this product - I am not paid for my reviews or optinions! They are 100% mine! Please remember that your opinions and tastes might differ from mine. My daughter would love to win the Mermaid towel but the Lotus Flower Towel is cute too! My little pirate would love that pirate towel! The Pirate towel is adorable, we'd love that one. Following Kidorable on Facebook, and I told them you sent me! I visited Kidorable's site and I love the fireman towel. Mt grandson loves firetrucks! I love the mermaid towel!!! the dinasour one is so cute! I like the frog towel. I like kidorable on FB and told them you sent me! I'd love to win the Fireman towel, my son is obsessed with them lol. I would like to win the dragon towel. I follow Kidorable on twitter @Aerated. i most like the http://www.kidorable.com/cart/madonna-houndstooth-umbrella.html houndstooth umbrella! I like the Lucky Cat towel. Cute! I like the butterfly towel. I think I would choose the Lucky Cat Towel. They are all so cute. I love Kidorable. I would love to win the Fireman towel for my little guy! Super cute! I subscribed to your email via FeedBurner! Commented on Honeycomb Art & Fingerprint Bees. Commented on Edible Ladybugs & Flyers, Oh My! . Commented on Hand & Foot Print Bumble Bee . I "Like" Kidorable on Facebook & told them you sent me! I commented on the "Edible Ladybugs & Flyers, Oh My!" post. I tried to get a permalink but it wouldn't work for some reason. I left a comment on the "Hand & Foot Print Bumble Bee" post. I left a comment on the "Memorial Day Flag Pancakes! " post! I love the Lotus Flower! Thanks for the giveaway! I would love the dinosaur one for my grandson! I love the Ladybug Towel!